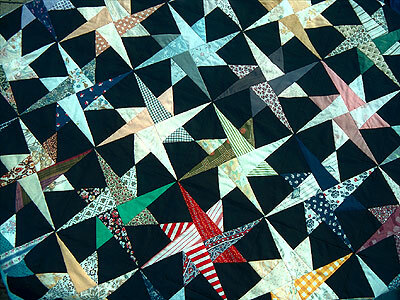 This beautiful patchwork quilt has quite a complex design. Try to see the basic units from which it is constructed. Can you see any right angles here? The photographs and screen images on this website are copyright and may not be reproduced without permission. Copyright © Richard Phillips 2001/2008. Page updated 27 November 2008.